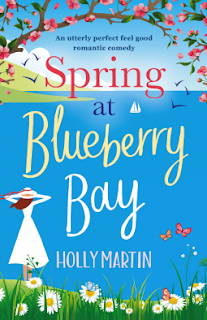 What I Say.....If you have a stressful week, or the kids are driving you crazy, Spring at Blueberry Bay is the perfect book to get lost in. Bella is out of a job and almost completely out of money. But when she sees a homeless man, she can't stop herself from helping him. She invites him into her house to sleep for the night, and they find themselves instantly attracted to each other. As Bella learns more about Isaac, her life continues to change for the better. So why can't she trust it? This book is full of good people, doing the right thing, and getting rewarded for it. Why can't life be like this every day? It's totally unrealistic, unabashedly chick lit, and completely enjoyable.